G’day, folks! This post has been a long time coming. So, here we have it! 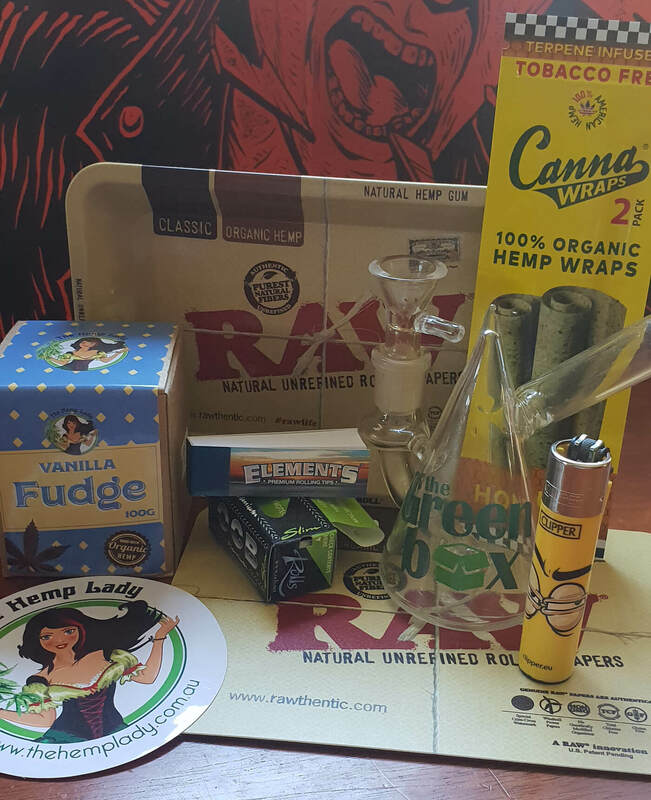 The Green Master Kush Box: Limited November Edition! 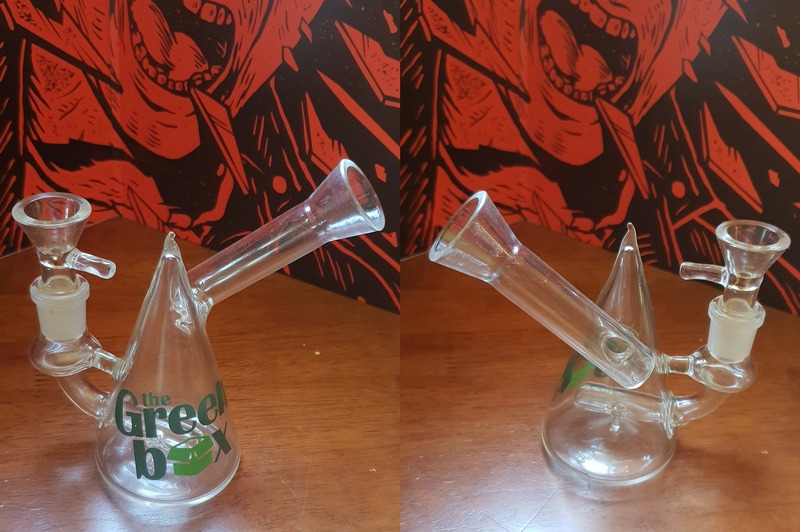 This small glass bong has a unique design. The smoking experience is enhanced by an equally small 2-hole percolator. Be warned: if you’re not using a screen, this little bong will clog right up. It’s almost mandatory, due to the big hole in the piece. Honestly, not bad at all! Admittedly, I was at first a little sceptical. I expected to receive a bit of water in my mouth on the draw in. I was also predicting less-than-ideal draw resistance, and other related problems you often experience with compact pieces. However, I had none of that. The ‘Pyramid Rig’ is designed such that you don’t get splattered with bong water! The mouth piece is set off to the side of the piece, ensuring the water doesn’t make it up the spout. The cone piece is massive too, so you can really pack that bud down. This would serve as a great little travel bong. Personally, though, I’ve never been much of a fan of travelling with a small glass piece. Particularly one with a design this complex and intricate. Nonetheless, this would still look amazing in a glass cabinet. I’m not sure where it would fit into my home… admittedly, I personally vape more than I smoke bongs. I value this piece at probably $25-$30. It’s quite unique, and I love the branded Green Box logo on it. Next up, The RAW Mini Tray and Magnet Cover! All in all, this is a nice rolling tray! Very sturdy alloy used, and it has a minimal flex. It’s also made in Alcoy, Spain, which is coincidentally the spiritual birthplace of the ‘rolling paper’. I’ve always been supportive of the RAW brand. It’s hard to believe how much I swear by their papers. I’m sure I am not alone. What about that magnet cover? 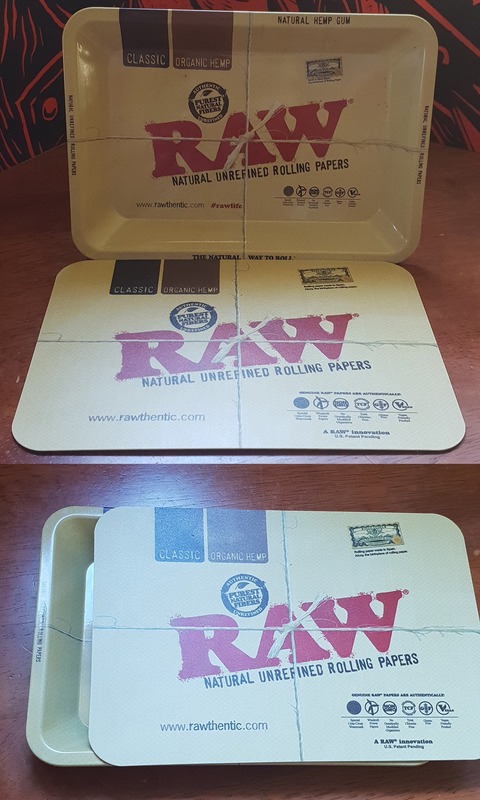 Well, at first, I was wondering why on earth I would want a gigantic fridge magnet advertising RAW papers…but then, I realised this is probably my favourite piece out of the whole Green Box! The magnet covers fit directly over the tray! The magnet provided is also very strong, preventing any of your chop from being spilled out! As a result… we won’t be giving away these two fantastic items. You can buy them on the Green Box website. But along with giving away the rest of this awesome kit, we’ll also throw in a Grinderoo grinder to the lucky winner! I value this around $25-$30. The tray is likely worth $15, and the magnet $10-$15. 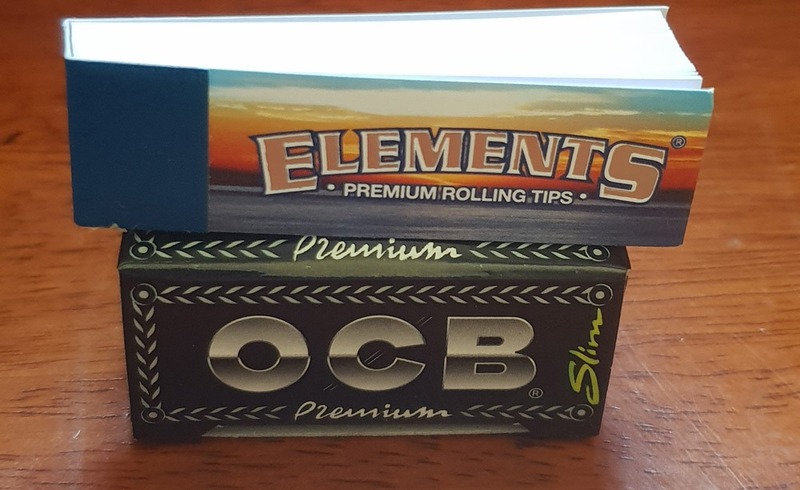 I did some googling, and I’m struggling to find any smoke shops in Australia that stock both of these items Really nice pick up! OCB produce high quality papers; if you don’t swear by RAW, you probably swear by these guys. I love that the roll was included in this kit. Being able to rip out the roll and choose how long I want my joint to be is awesome. Hopefully, you have a friend skilled enough to successfully roll 20-30cm joints! Additionally, the papers are ultra-thin and lightweight. They burn evenly. Personally, a second choice to RAW papers, but these are still great nonetheless. The Elements Tips are 59x17mm big, fairly thin, and roll/fold incredibly easily. I like these more than other RAW tips. However, I wish these were perforated – seeing as those are always fantastic! Total value for these two is probably around $4-$5. Really awesome to cut your own papers! A nice treat! Can I have a Canna Blunt Wrap? 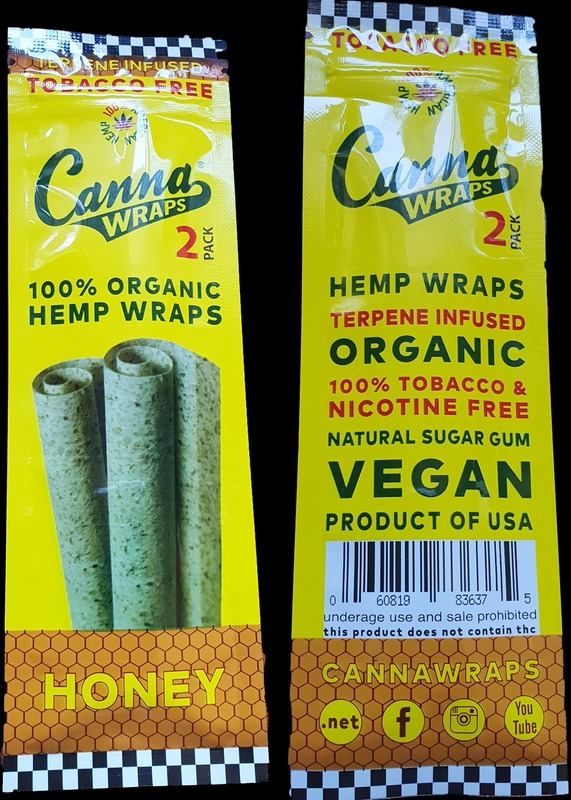 These CannaWraps are made of a terpene, infused with honey. They’re also 100% organic and vegan. Which begs the question… why would there have to be any animal in my blunt wrap? They are tobacco and nicotine free, and are in stores without plain packaging. A sweet treat! I’m not opening up these bad boys, because I’d like to give them away. I can’t comment on how they are. But boy oh boy, do these things look amazing. They are valued at $4.50 from Green Box. I haven’t seen them on sale anywhere else in Australia. Due to their exclusivity, these really add a nice quality to the box. These munchies got me bad! Mmmm! This is another item that I’m not trying out, simply because of the giveaway. However, I can tell you about this amazing homemade fudge recipe, infused with hemp. You’ll get myriad benefits from the healthy Omega 3 acids, and the wealth of phytonutrients in this product… so says the marketing. This is a smooth fudge that can only taste as good as it sounds! The best part of this goodie is finding out about thehemplady.com.au. This website is moderated by Claire, a woman living on the hill of Myponga on the Fleurieu Peninsula, South Australia! The Hemp Lady offers a variety of skincare and health products from moisturising cream, to beard balm, body butter, tattoo balm, and more! Alongside the skincare, she also offers these fudge treats! We’ll soon be doing an order for a mixture of products from The Hemp Lady, for us to review! 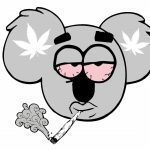 We love the Aussie Cannabis Community, and want to showcase EVERYTHING we have to offer! The Vanilla Fudge goes for $8 for 100 grams. Expensive, but quite a unique treat! A brochure for the hemp lady website and a sticker (which means another cannabis sticker for my guitar) were also included. Last, but certainly not least, the best lighter you could ask for! 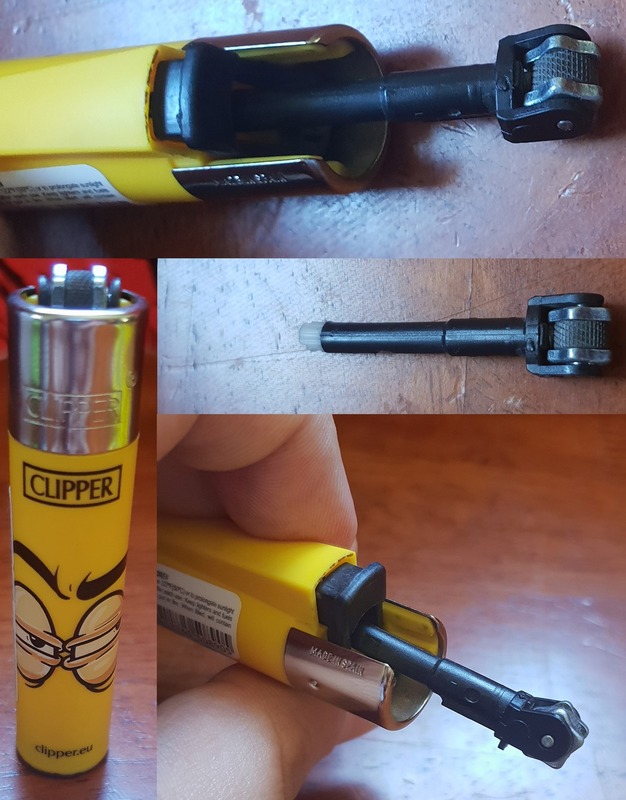 An awesome, cheeky looking, bright yellow lighter! These lighters are amazing, honestly. Move over BIC; there’s a better, more useful light in town! I saw these all around Europe, but I never saw them catch on in Australia. What am I fussing about? 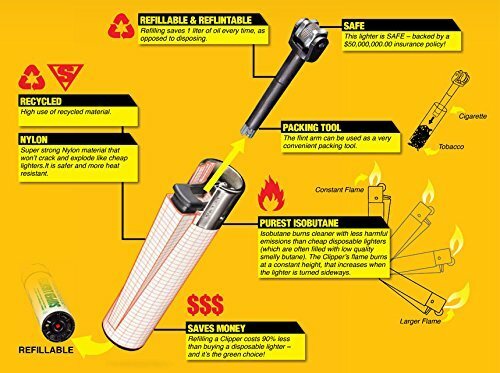 These lighters are refillable…not only that, they also have a removable flint, which doubles as a packing tool! Three things a BIC can’t do. This lighter is valued at $4. What an awesome November Master Kush Box! We value this whole box at around $75-$80. Considering shipping is included in the $60 price tag, this box is great value, providing both uniqueness and functionality. We here at FAB are loving Aussie the influx of cannabis businesses willing to take a chance in an unknown climate. We endeavour to keep supporting these people, and the products they bring to market. The Green Box has a coupon code for FAB readers! 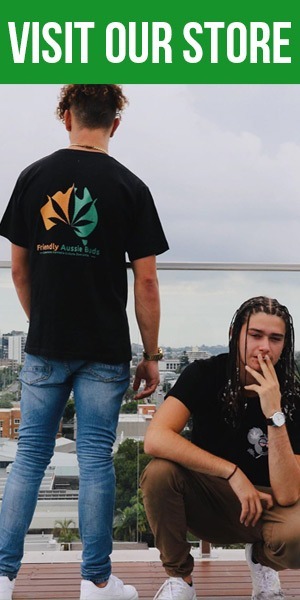 $5 off their first Master Kush Box when using the code “FriendlyAussieBuds”. We’re running a contest on our Facebook page, please follow along if you would like to win this box! We value this whole box at around $75-$80. Considering shipping is included in the $60 price tag, this box is great value, providing both uniqueness and functionality. We here at FAB are loving Aussie the influx of cannabis businesses willing to take a chance in an unknown climate. We endeavour to keep supporting these people, and the products they bring to market.